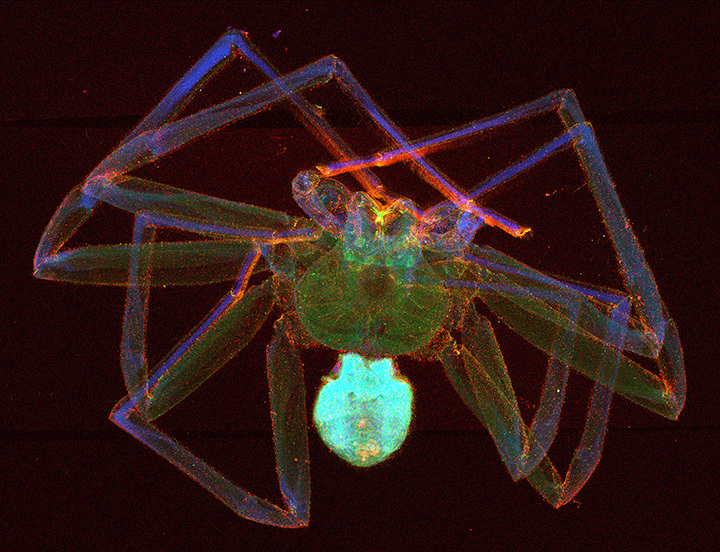 Have you ever wondered what elements make up a spider? 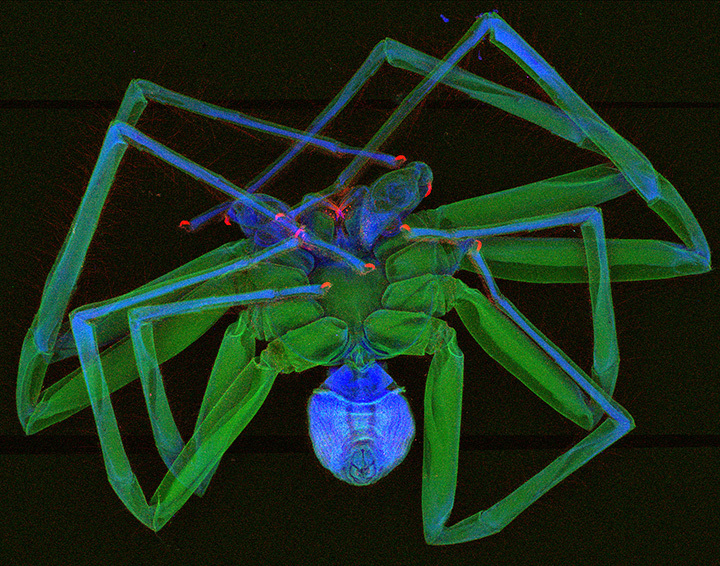 Scroll down to see images from the Australian Synchrotron taken by Dr. Daryl Howard who scanned a whole Huntsman Spider using the X-ray fluorescence elemental mapping technique. The detector used to measure the data was co-developed with CSIRO. The Australian Synchrotron had recently commissioned some new parts and needed a test sample to make sure things were set up properly. Daryl thought this Huntsman would be interesting to analyse. Greg Anderson says: "The high concentration of Mn in the claws, on parts of the fangs and on some of the "teeth" near the mouth is interesting. No doubt it is playing a structural role here. Perhaps even more interesting is the distribution of copper in the distal leg segments and the secondary reproductive organs. Your spider here is a male, and those spirals you can see near the front of the spider are part of the palps, which are modified in the male for inseminating the female. 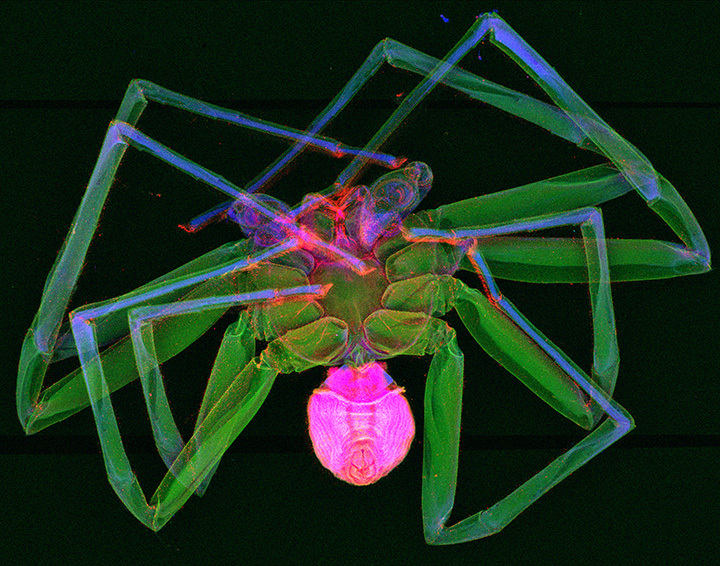 Each palp has an embolus, which is the spiral structure you can see."